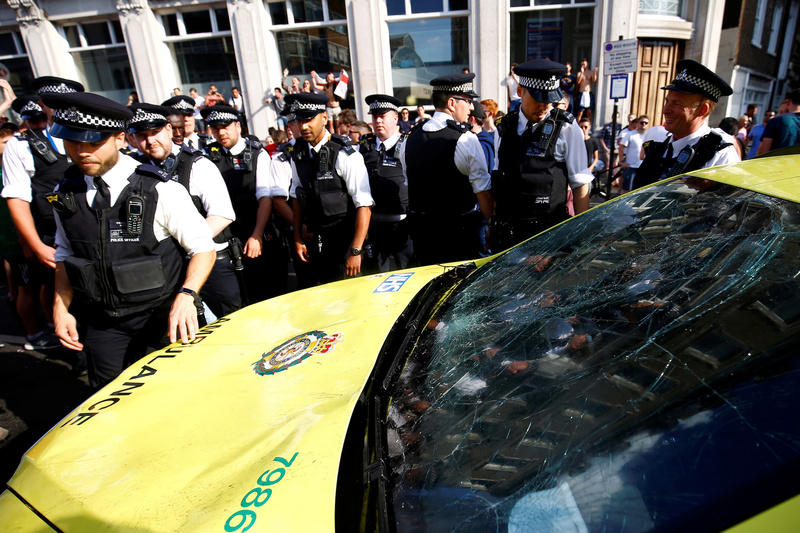 Earlier today, (July 8) you’ll have no doubt seen a story circulating about an ambulance car parked near London Bridge which was trampled and smashed by England fans having a little too much fun after our boys in Russia reached the country’s first semi final in nearly 30 years. Naturally, the celebrations were as exuberant as you might expect of some notoriously wild England fans. The problem was, this time, fans overstepped the mark by jumping up and down on an ambulance car, taking turns to trample on the vehicle, which was parked up on the road. So bad was the damage, it needed to be taken off the road. Despite the sheer elation of the entire nation, they’ve got a point. Celebrating your team’s success is one thing. Vandalism is another. This senseless act overstepped the mark by quite a long way. It’s literally a public service vehicle which needs to be used to save people’s lives. Anyway, such was the outcry, police are now asking for help in identifying some of the people who climbed on top of the vehicle. While there was probably no malice, I think we can all agree it was very stupid of these people to do what they did. Luckily for us, football fans have a conscience and so the Millwall Supporters’ Club have stepped up to start a fundraiser in order to repair the wrecked vehicle. The JustGiving page is aiming to raise more than £5000 in order to cover the costs of the repairs. As if that wasn’t enough, if an insurance company decides to step up and cover the costs, the money raised will be donated to the London Ambulance Service. Lord knows our NHS needs all the help it can get at the moment. We are very grateful for any donations and support you can offer. If the insurance company pays for the repairs, all monies raised will be donated to the local ambulance service whose vehicle sustained this damage. Pictures show dozens of fans gathered around the vehicle, taking turns to jump up and down on it, which caused the damage. 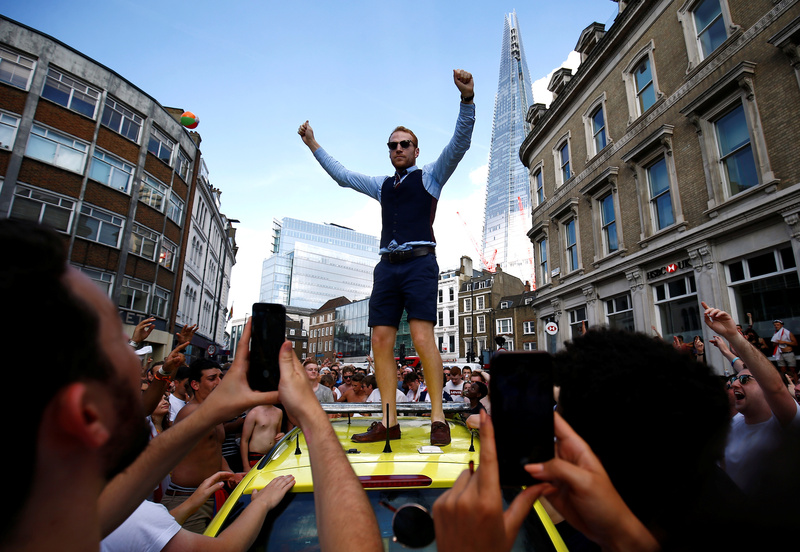 One woman was seen flashing her chest while a Gareth Southgate impersonator could also be seen on top of the vehicle, lapping up the attention. Eventually, police had to be called in order to surround the vehicle and make sure no one else could get on and cause even more damage. Let’s hope the funds raised can help repair the vehicle and we can all go on and enjoy the rest of the World Cup without incidents like these marring it. There’s wild celebrations and then there’s vandalism. It’s important to know the difference.